Posted by shaunphilly in Religion. So, you want to include Intelligent design, creationism, or some other moniker for questioning the overwhelmingly established science of evolution into our classrooms. You also, likely, equate evolution with the origin of the universe, so you want to talk about how something must have created the universe too. Like, for example, god. Well, OK. In that case, lets also include creation myths from Hindus, various Native American tribes, and (why not, it’s 2012) the Mayans? Let’s have as many challenges to evolution and cosmology as possible, if we are going there. Or perhaps you are more concerned with the state of medical science. Perhaps you want to have your medical school include spirituality in their training, so that future doctors will be more spiritually attuned, or something. Well, OK. In that case let’s not forget faith healing, acupuncture, and homeopathy. Hell, let’s throw in some goat sacrificing as well. If we are going to include alternative medicines, why not throw in everything, just in case someone thinks they are worthwhile, eh? Have I gone down a slippery slope? Have I taken what should be seen as a legitimate addition of alternative points of view, in comparison with established science and skepticism, and equated them with obviously erroneous methods? Am I not taking things like spirituality, real “scientific” challenges to the Darwinian conspiracy, etc seriously? Am I merely being flippant and disrespectful? What is the difference between the more sophisticated and complex challenges to the scientific consensus and those which are, how should I say, less sophisticated? 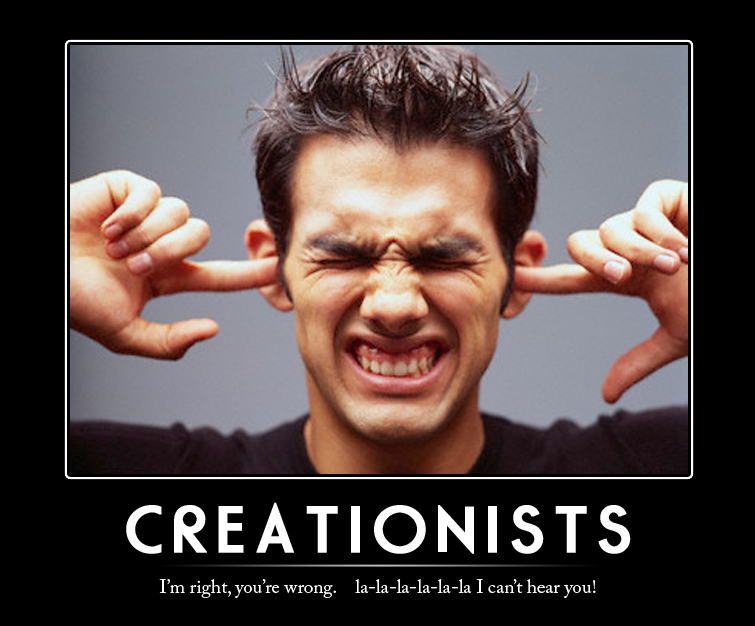 What is the difference between the Discovery Institute and the creationist screaming on the street corner (or next to the reason rally)? There are real differences between these two types of challenge to science. One is better articulated, more gpolished, and appears more professional. The other has not been dressed up in such finery, and is obviously naked to everyone (OK, most of us). From where I stand, all of these sophists look naked, adorned in transcendent Imperial attire, even if to many out there the transparency of such cloth takes on a denseness and opacity to them. Such observations become quite illuminating to complex eyes, but not so complex to need an intelligence to evolve them, such as mine. That is, the difference between these sophisticated attempts at “skepticism” and creationist buffoonery is one of methodological degree, and certainly not a difference of quality. For someone to show a distinction between these two, they would need to show some empirical or methodological difference between the two claims. They cannot do this. Because there isn’t any. No matter how well the Discovery Institute, the Institute for Creation Research (ICR), or any other disingenuous attempts to undermine science dresses up their creationism, that’s all it is. So no matter how slick the presentation, elevated the vocabulary (to make it sound sciency), or how many “credentialed” contributors they parade out (or pay large sums of money) there will only be a difference of degree between them and the whack-jobs on the street-corner yelling about the time being “nigh,” or someshit. The reason for this is simple. The methodologies of science, based in logic, empiricism, and skepticism generally, are unique and powerful. 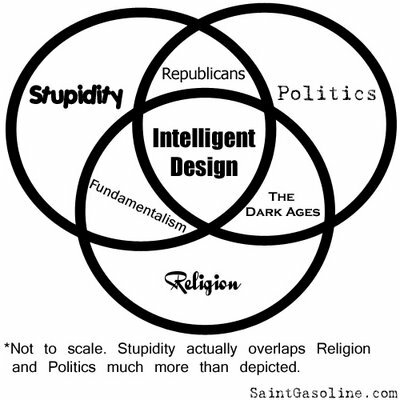 Religion, faith, superstition are all powerful motivators of human behavior, but they lack that method and so they fail to predict or explain reality. There is a fundamental methodological difference between what real science does and what is done by such think tanks as referred to above. Places like the Discovery Institute and the ICR are not using the best methodologies, but are in fact using the same type of methodology used by the creationist you will meet on the street, in a church, or proposing legislation to allow discussion of creationism in schools. So when we respond to such trite sophistry with what may appear hyperbolic, the fact is that it is not hyperbole at all. It is, in fact, appropriate commentary on the ridiculousness of people’s beliefs about the world; beliefs which are not warranted by the facts or the reason that binds those facts into theories which teach us about reality. One person’s idiocy is another’s profundity. And one person’s profundity is another’s idiocy. The difference between the two, however, is not mere subjective opinion or preference; reality can inform the difference, and reality gives up her lovely secrets only to skeptics (when she gives them up at all). Faith and superstition—ever the prompts of religion—being so obsessed with what lays beneath nature’s bodice, frees itself to imaginings and unverified declarations. But it is all rhetoric and no real experience. Real experience requires knowing how to unhook the bra of reality, a secret revealed only by the reaching of the adolescence of our species during our philosophical and scientific development and matured in the fires of the Enlightenment with the advent of the scientific method. Many an embarrassed and inexperienced person claims to have breached such depths, claiming to have seen this or that, done that or this, and have really only masturbated such things while those of us truly entered into mysteries of the plain world in our face, seen with skeptical eyes, know the beauty of reality’s bosom. Or, to put the analogy more succinctly; pics or it didn’t happen, you keepers of faith and superstition! This article made me meditate on life’s mysteries. I guess soon I’ll become a skeptic and atheist, and I like it, because I also want to know “the beauty of reality’s bosom.”. Thanks for uncovering life’s hidden attractions.